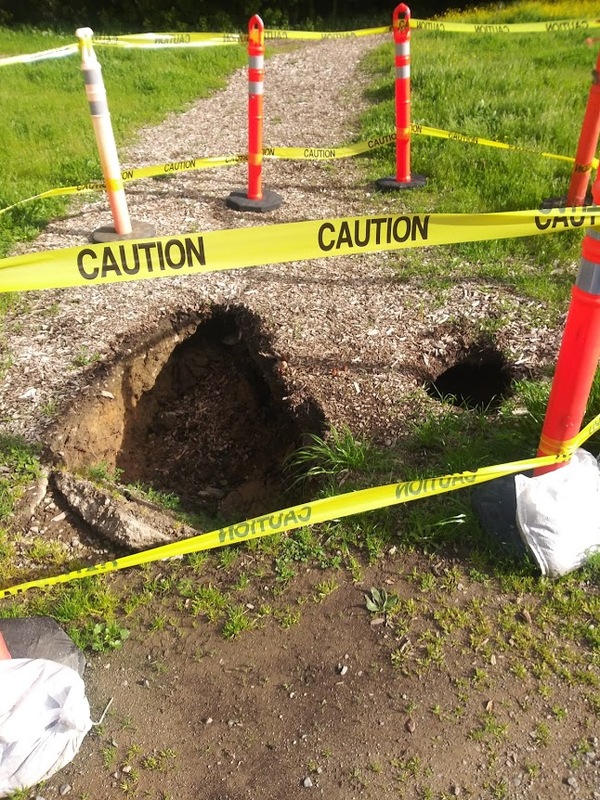 If you are a regular walker in Marinwood Park, you noticed a sinkhole on the nature trail in late February after rainstorms. It was much smaller then. The CSD responded by putting up caution tape and hiring a geologist for advice. $1700 later, he told Eric Driekosen, Marinwood CSD manager and Luke Fretwell, CSD that it was a sinkhole and how to fix it. That was over a month ago and still no repairs. The sinkhole was probably due to buried trash, a decaying tree stump or a storm drain. I saw old bottles in the hole and believe it was buried trash. 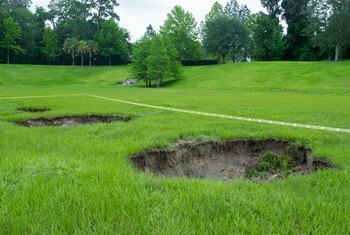 It is not the same type of sinkhole found in Florida from decaying limestone. This sinkhole is of limited size and easily repaired with concrete and fill dirt. Why doesn't the Marinwood CSD fix this? Do they not know that kids ride and walk this way to school? A child could be seriously injured playing in the hole. Do they not care about the public safety? The Marinwood CSD management team has NO EXPERIENCE managing landscaping crews nor do they have a sense of urgency for public safety. This is why they ignore safety handrails for the western Quietwood walkpath entrance despite many requests over a four year period. 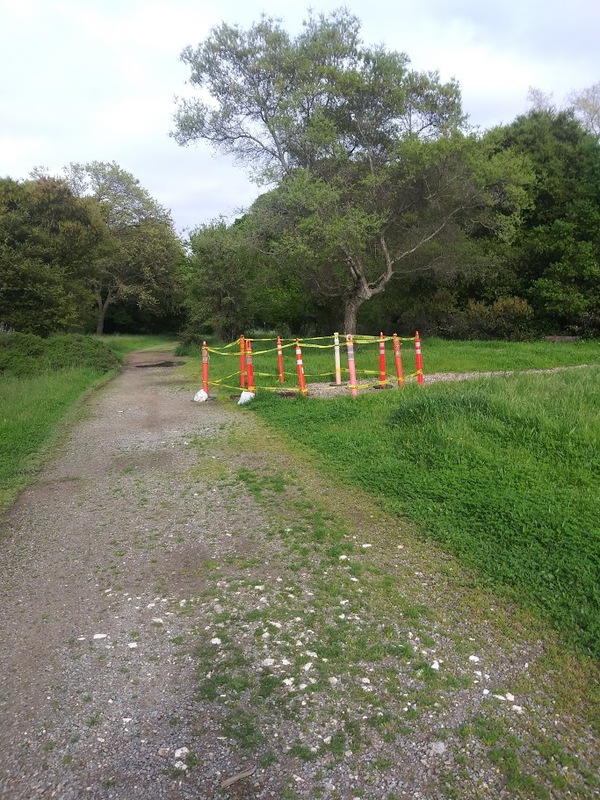 Instead, Eric Dreikosen, CSD Manager, is wasting his time with attempting to build the largest, most expensive maintenance facility in Marin County history, designed by former Marinwood CSD director, Bill Hansell. The project aka "White Elephant" will require 1 1/2 acres for the building grounds and access roads. It is THREE TIMES the size of Marin County McInnis Park maintenance building. It is a massive grift of the Marinwood community and must be stopped before they ruin our park and stick us with the bill. The Marinwood sinkhole grows and no one is fixing it.